- Injury report: For the Raptors, Jonas Valanciunas (left thumb dislocation) is out. 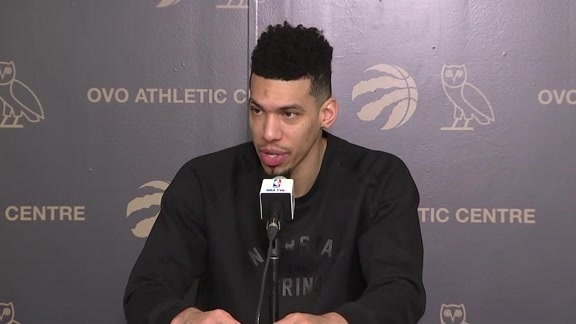 Danny Green (left-hand soreness) is listed as probable. For the Mavericks, Jose Juan Barea (right Achilles surgery) is out. 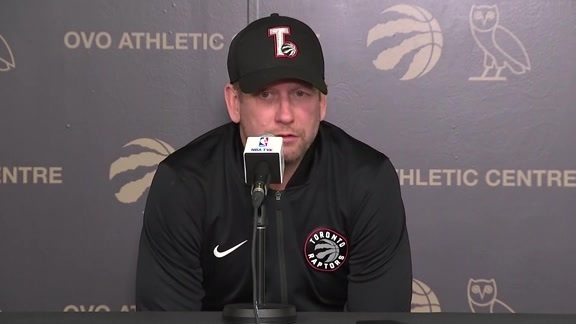 - Back on track: The Raptors are in Dallas to close out a three-game road trip, hoping to get back in the win column after dropping the first two games of the trip in Indiana on Wednesday and Houston on Friday. After Sunday’s contest in Dallas, the Raptors have only three remaining road games against Western Conference opponents on the regular-season schedule. The team returns to Toronto following Sunday’s game and will have their second three-day break in between games this season before hosting the Milwaukee Bucks on Thursday, Jan. 31 at Scotiabank Arena. - Recent history: This will be the final meeting between the Raptors and Mavericks this season. Toronto defeated Dallas 116-107 in Toronto on Oct. 26 behind a 20-point, 12-assist performance from Kyle Lowry and 21 points from Kawhi Leonard. DeAndre Jordan had 18 points and 15 rebounds and Luka Doncic added 22 points for the Mavericks in the loss. Dallas enters Sunday’s game on a two-game winning streak, defeating the Los Angeles Clippers and Detroit Pistons in their last two games. - Streak continues: Kawhi Leonard returned to the court on Friday after a four-game absence for load management. Leonard led the team in his return, scoring 32 points in 39 minutes to go with seven rebounds, five assists and two steals. He has now scored at least 20 points in 21 consecutive games (Nov. 27 - Jan. 25), which is a career-best. During this span, he is averaging 28.9 points on 53 percent shooting. Toronto’s franchise record for consecutive games scoring at least 20 points is held by Vince Carter who accomplished the feat in 23 straight games twice. - Double-double: Serge Ibaka had a 12-point, 14-rebound double-double in Houston. It was his third straight game recording a double-double and his 12th consecutive game scoring in double figures. Ibaka is averaging 18.0 points, 9.2 rebounds, 1.0 assists and 1.0 steals over his last five games while shooting 55 percent from the floor. - Rookie things: Dallas rookie Luka Doncic led the team in its most recent victory against the Detroit Pistons, scoring 32 points to go with eight rebounds, eight assists, two steals and a block in 35 minutes. This was the first time a teenager has ever had a 30-8-8-2-1 line in league history. It’s been a season of dazzling stat lines for the 19-year-old who is averaging 20.2 points, 6.8 rebounds, 5.3 assists and 1.2 steals in 32.1 minutes per game. He has recorded eight double-doubles, a triple-double, and has topped 20 points 26 times this season. He has also won back-to-back Western Conference Rookie of the Month Awards.